After outpacing the overall market for each of the past five years, Popeyes Louisiana Kitchen (PLKI) may have finally run its course. And that's not just because it declined following a quarterly earnings report that contained nothing alarming. Of course, if it has hit the runner's wall, it only means the 2,262-store Atlanta-based chicken seller is joining the club of so many publicly traded restaurants that have fallen out of favor with investors in 2014. 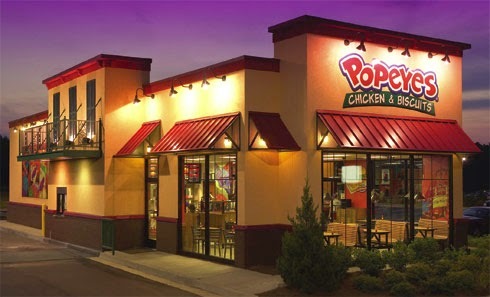 Popeyes stock lost more than 3% on Thursday from Wednesday's close, following the after-hours earnings report. The dip was almost certainly because Popeyes shares — along with those of a large number of other food-service companies — had gotten overvalued. On Friday the stock is essentially flat in midday trade, at $39.26. Here's how the second quarter went for Popeyes: It earned 39 cents a share, before items, increased revenue 12.1% from last year to $53.7 million and had same-store sales that rose 3.6%. At the same time, it affirmed the full-year outlook that it had raised in the first quarter. In comparison with what was expected, Popeyes met on earnings and topped same-store sales estimates, though it did fall short on the revenue line by $800,000. While that top-line miss is difficult to view as a disaster for a company that franchises about 98% of its locations, especially considering the double-digit growth rate was above the 11.9% average recorded in the past 16 quarters, it may have provided enough reason to sell. A pullback after earnings isn't unusual for Popeyes, formerly AFC Enterprises, so on its own that's not of great concern. Going back 20 quarters and now in three of the past four, it's fallen once the market had the numbers. But this time may well be different -- truly -- because of the larger forces at work, namely the negative pressure damaging most of the restaurant stocks Yahoo Finance tracks. Of 42 restaurants surveyed, the group has been down all year, and that's accelerated noticeably of late. At the end of the first quarter, the average loss was 2.6%. Just after the second quarter closed, the decrease had worsened to 2.8%. Since mid-July they've been practically in a collapse, with the set now showing an average loss of 6.9%, compared with the S&P 500's 7.5% advance year to date. Worries about the pace of consumer spending, the effects of competition, the level of costs for food and labor, and setbacks such as the supply scandal in China affecting McDonald's (MCD) and Yum Brands (YUM) have been detrimental to the group. Those explain some of the investor skittishness. But stretched earnings multiples, which for many names had gotten well above their normal trading levels, are almost certainly adding to the downdraft, including for Popeyes. From here, the Wall Street consensus price of $50 on the stock is looking awfully optimistic, even with its operational wins. Along with greater trepidation on the restaurant stocks, this particular name continues to trade at a premium to the five-year normal level of at least seven valuation measures, according to FactSet. Popeyes is among the one-quarter of restaurants that are up this year, though its 1.6% gain is far below the 5.8% addition it had in March and the 8% rise it was posting in July. Popeyes stock, in each of the past five years, has gained an average of 55%. 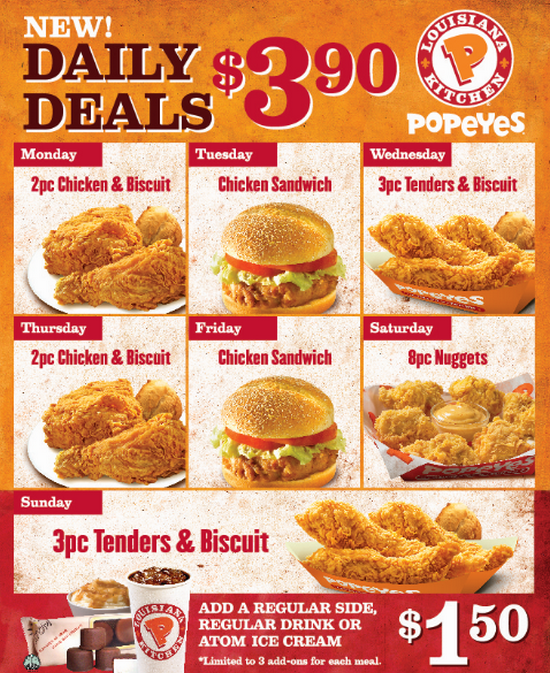 The potential good news is that all those value metrics on Popeyes are below their highs amid the deflation. Still, without a clear reason to expect enormous results in the next few months, it's difficult to imagine a substantial reversal rally, even as it's 14.9% beneath the $46.12 all-time peak of June. At the moment, Popeyes has a forward price-to-earnings ratio of 21.7 vs. the 17.2 average. If traders were to push it down to that multiple, it would imply a price of $30.44 -- a 22.5% decline from the last close. That sounds extreme, with Popeye's getting much right and staying with its expansion plans as chicken becomes a more popular protein choice, also allowing competing chains such as Chick-fil-A and Zaxby's to build out. But the analysts' consensus price appears equally outrageous, seeing as how it would put the next-12-months P/E at 28.2, about 8.4% better than the record high. If the bid returns to the restaurant chains, that's possible to envision. But for now, the bears are in charge. And on a group that rose more than 50% last year, exceeding the S&P by some 20 percentage points, they'll look to keep it that way for at least a while longer. They'll do the same for Popeyes.